I love all my Sisters so much for helping us plan Naomi’s special day! Whoa, can you guys believe I haven’t had an anxiety attack yet! For the first time in my Life; I’m the CALM one before a Party! Even thought it’s HER birthday, I got a special present from Daddy too! 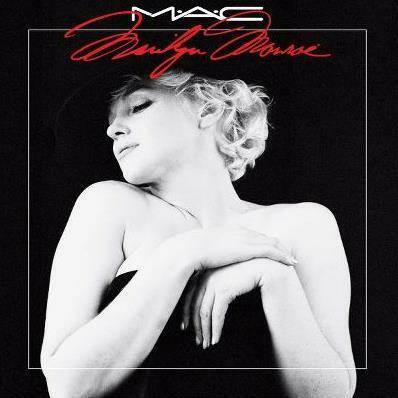 The Marilyn Monroe Collect from MAC Cosmetics! They just hit the store shelves Oct 4 and they’re about Sold Out every where! I’m so lucky to got my hands on these because this is exactly what I’ve been wishing for! Channel your own inner Blonde Bombshell with these Limited Edition Make-Up Collection. MAC Cosmetics are the first to released these Never Before Seen Photos of Style Icon Marilyn Monroe when she was only 36 years old. This is a wonderful tribute to the Legend and the Specially designed packaging features imagery from The Black Sitting. I’m in love with her four shades of Red Nail Lacquers and I can’t wait to use them all! Okay gotta recharge my batteries for the Big Pizza Party tomorrow! It’s going to be a Crazy Day full of Sugar High Babies and Kids Gone WILD Who doesn’t love Candy during Halloween Season!